Crossy Road Apk Many mobile developers generally used to follow the iOS first rule when developing app and games but thanks to Google the Android platform started gaining a huge chunk of market share of more than 80% and iOS standing next at around 11% followed by Windows phone and other mobile OS. So, Now most of the developers are making apps and games aimed at both Android and iOS users and both Google Play and App Store are making it easier for new app and games. 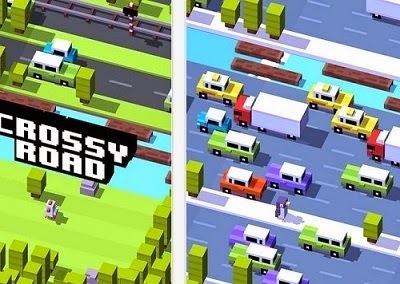 Though most of the Developers are adapting to multi OS app development some are still releasing their apps on iOS and if the app gets popular they are launching the Android version, one such app is Crossy Road-Endless Arcade Hopper, a game about animals crossing roads full of traffic.